The quarter-century after the Rainhill Trials was an exciting period of growth and experimentation on the railways. The railway locomotive evolved from a lumbering curiosity to being indispensable – changing every aspect of daily life, from food (and how it was cooked), to heating and clothing – with more than 7,000 miles of track being laid in Britain between 1830 and 1855, and found on just about every continent around the globe. Much has been written about the success of the Rocket at the Rainhill Trials, but what was it like to drive Rocket and her contemporaries? 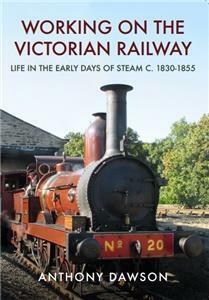 Drawing on a wealth of early railway records, rules and regulations, together with the practical experience of working on replica early locomotives, Anthony Dawson sets out to explore what it was like to work, and travel, on Britain’s earliest railways during the first quarter-century after the Rainhill Trials.